In the United States, truck auctions are very popular and this is often the best place to go to if you are looking for second hand trucks and trailers. As the trucking industry continues to grow and develop into a huge business sector, auction houses are becoming an important part of the industry in helping buyers find the right trucks for them at the right price. If you have been planning to browse the market for a second hand truck and trailer but you just could not do it because of a very busy schedule or limited budget, auction houses can make the selection process as well as the actual purchase a lot easier for you. With the introduction of various truck and trailer auction services that offer different models as well as second hand selections, finding the perfect vehicle you have been wanting for so long is relatively easy. In the privacy and comfort of your own home, getting all the information about the car you want is easy using the online services provided by these auction houses to make sure you have all the details you need to help you with your purchase. The good thing about truck auctions online is that everything is made convenient on the part of the client and you are not even required to visit different truck dealers to be able to check the market price or negotiate for good deals. In addition to that, online truck and trailer auction provide a much wider variety to choose from compared to local truck dealers. Furthermore, if you look carefully and make your research as comprehensive as you can, you will be surprised to know that online auction sites provide far better and more profitable deals to customers compared to local truck dealers. All you are required to do is key in the model of the truck or trailer you are looking for and you can easily know if the model you are looking for is available or not. If that particular model is available, you can also know other related information such as its condition, price, mileage, and other pertinent information that will help you with your purchase. The good thing about truck auctions online is that you can easily find the details you need for any truck and trailer you are considering to buy. In addition to that, with online auction websites, comparing prices with different sellers is always an easy task. You need not personally visit each seller in your area just to find the right truck for you. This will also allow you to explore further other options which can help you find the best and most affordable truck deals without sacrificing the quality and condition of the vehicle you want to buy. Buying trucks online from truck auctions is relatively easy to do but most people willing to try their online options are not quite sure where to start. Buying trucks from an online-based auction is almost the same as purchasing it in your local car auction house. The only difference is that you are conducting it from your computer. So to start the process of your purchase, you first need to determine how much you are willing to spend on your bids and evaluate your need - whether you want to have this kind of model of a used truck that will be able to meet your purpose. Once you’re done with this step, start looking for truck auctions online and start making a shortlist of where you can be offered the best deals. Make a comparison of their prices to find out who can offer you quality trucks and trailers at good value prices and once you are able to make your choice, contact them and start your negotiations. If you are lucky and you win the bid, you can easily have your truck in your garage after all the transactions have been completed. Ever since the advent of the internet, it has become one of the most profitable and important platforms for buying and selling. And since there is a large number of people who use it either for gathering information or purchasing, looking for trucks and trailers for auctions online is a very practical option for you. With the development of various online auction services, the trucking industry has also showed a significant growth especially in terms of delivering efficient and quality services to the consuming public. As more and more people are becoming accustomed to doing everything online, online auction sites have become the most sought after information providers and even the average buyer can now look for the type of trucks he or she wants at a single click of the mouse. With the vast database of various auction websites, there is hardly a truck model you cannot find today especially when you make a more advanced search for used trucks based on model and specifications. The truth is, regardless of how some people try to discourage other people from exploring their options with online truck auctions, it is actually more convenient to make your exploration and price comparison. You can do this right in the comfort and privacy of your own home. With the wide variety of information you can get from these auction websites, it is a lot easier to make a list of options for different truck models and compare their prevailing market prices than browsing the classified ads so to speak. With online truck auction, you can easily get the results of your inquiry in a matter of seconds and in addition to that, you also get a comprehensive result of all the things you want to know from the price right up to the history of the vehicle. Know the truck’s worth – this is pretty obvious. Before you buy anything, it will be worth your while to research the equipment’s real value based on existing industry trends for a similar vehicle. Apply the most up-to-date information you can get and come up with a price range that you are willing to bid on. When you are bidding in a truck auction, having an updated price range can help you with your bids and ensure that you are sticking to a realistic and accurate price expectation. Learn more about buying methods – regardless of the type and model of truck or trailer you are planning to buy, its present condition and how quickly you want to acquire the vehicle, there are different buying methods that best fit specific buying conditions. To know the ideal buying method for you, train yourself on the advantages and disadvantages of different bidding methods such as reserved and unreserved auctions, private sale, truck dealers and brokers and a whole lot more. Set your bidding limit – setting your bidding limit and learning how to make your bids quickly and clearly will help you succeed in a truck auction. 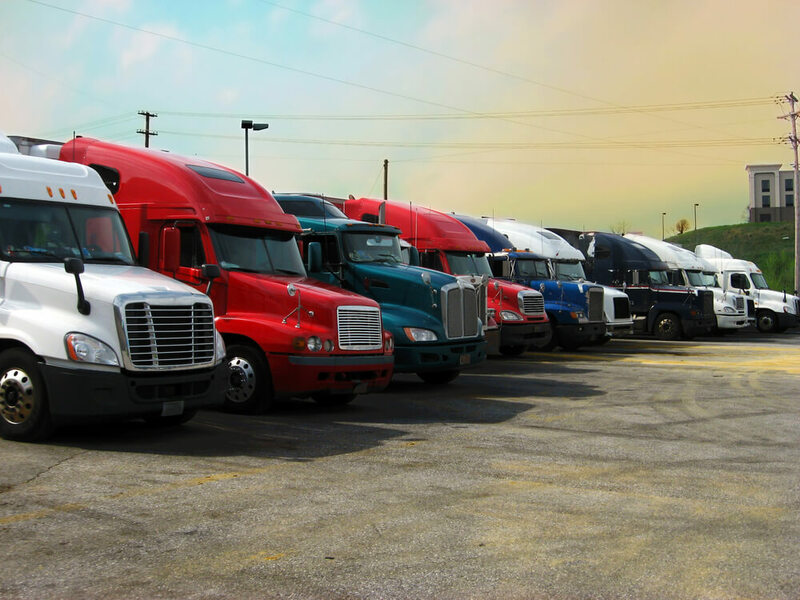 Truck auctions are not all about bidding as fast as you can because you also have to consider the price changes and other factors that may surface during the bidding process. When you are doing it online, clicking on the bidding button means that you will not be able to cancel your bid unless other bidders outbid you. Most of the time, sellers and auctioneers at a truck auction allow potential buyers to do visual inspection on the vehicle before the bidding starts. And while you may insist to do a test drive, it is best to check first if the auction house allows bidders to start the engine much more do a test drive. If only visual inspection is allowed, having a keen eye for details and understanding of trucks and trailers will help you determine the right item to bid on and the right amount to spend. The truth is that you can save a lot of money when you buy from a truck auction. Auctions like these mean that both sellers and buyers are making profit but always be cautious of what you are buying to make sure you are indeed making a good deal. Always be vigilant and make an effort to gather as much information about the truck as you can so you will know what you are investing in. The internet is a good source of information when looking for online truck auction instead of the typical classifieds that advertise various trucks and trailers for sale. And with ever growing online technology, the services offered by online auction sites are also growing and this includes simplifying your search and making your purchase as convenient as possible. There are reliable online truck auction websites that offer specialized services for customers looking for quality used trucks and they can also offer various brands and models ever made available in the truck industry at a very affordable price. Whether you want to join an in-person auction or take part in a live, online based auction, being familiar with how these work will save you a lot of time and money and definitely get you the truck you are looking for.